Another juice another great workout. 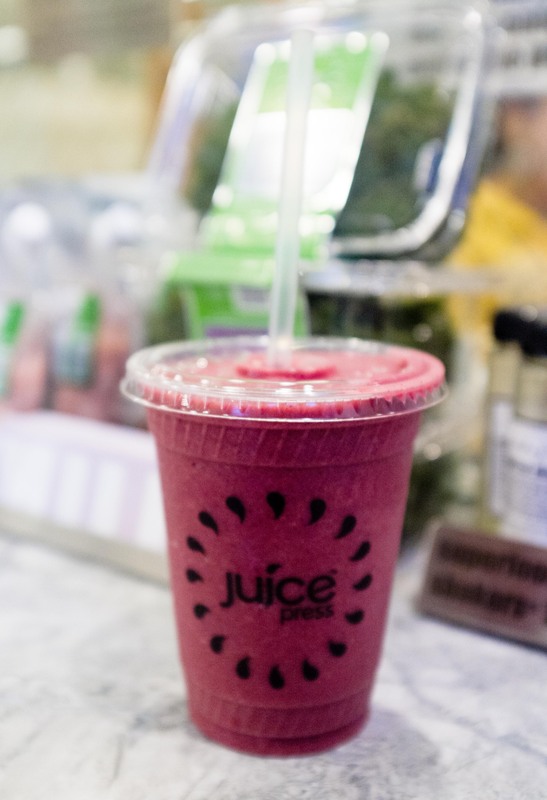 This time, it’s the Greenwich Avenue location of Juice Press and I was looking for something to give me a boost pre spin class. I was recommended their fountain of youth smoothie, a blend of blueberries, raspberries, strawberries and banana sweetened with a little of agave and boosted with hemp protein and coconut oil, no ice or filler at all. A great dinner substitute.